Global UAV, a Canadian technology company who are spearheading the use of autonomous drones in mining and many other applications, announced today they’ve been awarded multiple unexploded ordnance (UXO) survey contracts from customers in the United States. The surveys are being flown by Global UAV’s wholly owned subsidiary, Pioneer Aerial Surveys Ltd, using their own UAV-MAG technology. Pioneer Aerial has previously conducted UXO surveys at Pearl Harbor. Global UAV is a diversified, vertically integrated company that provides a full suite of services, from design and research, production of their tech right through to flight services and regulatory compliance. Of note to those in the mining industry is that Global UAV are conducting these surveys using the same tech they use for mining and exploration related geophysical surveys. The ability to fly their autonomous drones closer to the ground means a more accurate, high-resolution survey result can be obtained at a lower cost than using other airborne platforms such as helicopters. The surveys will also cover a larger area than ground surveys, brining you the best of both worlds. These announcements serve as validation for the approach Global UAV have taken in targeting the UXO survey market with their autonomous drone technology. Organizations, such as the Army Corps of Engineers, are now requesting and requiring survey technology innovation to be a component of UXO survey solutions for those bidding on the projects. 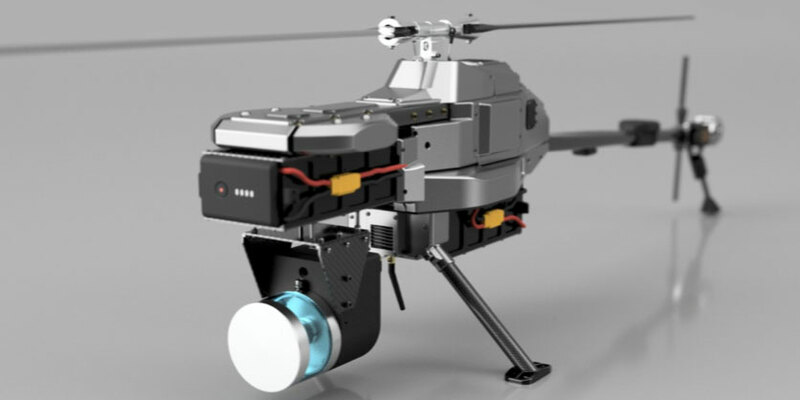 The UAV-MAG™ technology has been successful in allowing Pioneer Aerial to expand into the new market opportunity. For more information on Global UAV Technologies visit their website. Next articleMining Indaba Day 4: The Democratic Republic of Congo – poised for mining success?